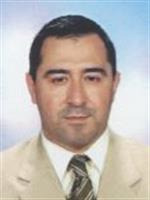 Aydin Tavman, born in Turkey in 1966, graduated in 1989 from Chemistry Deparment of Istanbul University. He received his M.Sc. degree from Istanbul University, Turkey, in 1993, his PhD degree in 1997 from Istanbul University also. He worked as Assistant Professor between 2001-2009 and Associate Professor between 2009-2014; and he continues to work as Professor from 2014 in Istanbul University Department of Chemistry. He is giving various courses at the Department of Chemistry and Vocational School of Technical Sciences. His main scientific interests include the synthesis of coordination compounds, synthesis of Schiff bases, benzimidazoles, benzoxazoles and their transition metal complexes, theoretical characterizations, antimicrobial activity, dyeing applications. After defense, in 1988, of a Ph. D. prepared under the supervision of Prof. H. Kagan in Orsay (France), Remi Chauvin was a post-doctoral fellow with Prof. K. B. Sharpless at MIT, Cambridge (MA, USA), then with Prof. A. Vasella at Uni, Zurich (Switzerland). In 1990, he pursued his career in pharmaceutical research & development at the Roussel-Uclaf company in Romainville (France). In 1993, he came back to academic science as a research associate at the CNRS in Toulouse (France), and in 1998 was appointed full Professor at the Paul Sabatier University of Toulouse. His research activity extends from organic synthesis for both physics (carbo-mers) and biology (anti-tumor compounds), to phosphorus-organometallic chemistry for catalysis, through mathematical and computational chemistry for theoretical analysis. The investigations are carried out within the framework of numerous national and international collaborations (Ukraine, China, Mexico, Taiwan, Spain, United States, Denmark, UK, Canada, Morocco, Switzerland…). Since 2007, he is manager of the cooperation in chemistry between Toulouse and Ukraine (in particular as the head of the CNRS French-Ukrainian Laboratory in Molecular Chemistry), and since 2015 he is a permanent visiting professor at the University of Huaqiao, Xiamen (China). Today, he has been invited as speaker for 114 conferences or seminar, and co-authored 177 publications and 5 patents. In 2015, he was honored as Doctor Honoris Causa of the Taras Chevtchenko National University of Kiev, and in 2016 received the award of the High-End Foreign Experts Recruitment Program in China. Valerie Maraval is a CNRS Research Engineer at the Laboratoire de Chimie de Coordination (LCC) in Toulouse, France. She obtained her PhD degree in 2000 under the supervision of Jean-Pierre Majoral in Toulouse on the synthesis of phosphorous dendrimers. 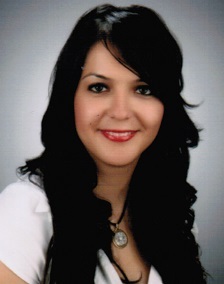 Then, after one year as a post-doctoral fellow with the Aventis Company, working on the oxidation of terpenic derivatives, she came back to academic research, first as a Valorization Engineer for two years working on dendrimer chemistry. In 2005, she obtained a permanent position at the CNRS as a Research Engineer and joined the team of Remi Chauvin at LCC in Toulouse. She obtained her habilitation in 2014. Her scientific interests focus on polyacetylenic derivatives with two main objectives: (i) design and synthesis of carbo-mers (expanded carbon-rich macro-aromatic compounds) for their physical properties (non-linear optical, electronic, liquid crystal…); (ii) design and synthesis of lipidic polyacetylenic derivatives for biological applications (especially anticancer). Prof.Dr. Ramazan Bilgin trained as a chemist, biochemist. He has worked in the fields of Enzyme kinetics, antioxidants enzymes, Immobilization, and Polymorphism. Prof.Dr. Ramazan Bilgin worked as a postdoctoral researcher at the Berlin Technical University and Cardiff University. He has attended numerous conferences and has several publications in refereed scientific journals to his credit. Emmanuel Gras is CNRS Researcher at the Laboratoire de Chimie de Coordination (LCC), CNRS in Toulouse. He carried out his PhD from 1997 to 2000 at the Institut de Chimie des Substances Naturelles in Gif on the development of total synthesis approach of members of the Amaryllidaceae family (Lycoramine and Galanthamine). He then moved as a Marie Curie Research Fellow to the Dyson Perrins Laboratory at the University of Oxford until 2002 where he developed synthetic methods based on the reactivity of a-lithiated epoxides. 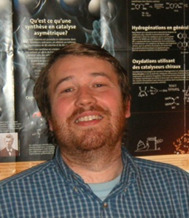 He was recruited as a CNRS researcher in 2002 in Toulouse and he joined the LCC in 2009. His research interests are manifold but they are all rooted in the field of Organic Chemistry with a significant emphasis on the use of main group elements, transition metal catalysis and applications to Biology and Medicine. Although diverse these research interests are all cross-feeding in order to maintain their sustainable development and they are outlined as (i) Amyloid targeting derivatives for understanding and tracking (in vivo imaging); (ii) User-friendly boronic derivatives and their synthetic applications; (iii) Benzothiazole based fluorescent probes – Benzothiazole based chelators; (iv) Innovative approaches for fluorination and radiofluorination; (v) Solid supported chemistry for fluorination and catalysis. Among his diverse collaborations, he currently carries on a fruitful collaboration with the Taras Shenvshenko National University of Kiev (Prof Yulian Volovenko) dealing with heterocyclic chemistry and applications through the fluorescence of the compounds synthesized. Adem Cinarli, born in Istanbul - Turkey in 1965, graduated in 1989 from Chemistry Deparment of Istanbul University. I received my M.Sc. degree from Istanbul University, Turkey, in 1992, my PhD degree in 2002 from Istanbul University also. 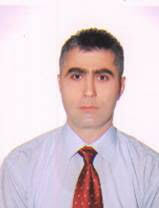 I worked as Assistant Professor since 2006 in Istanbul University, Department of Chemistry. I’m giving various courses at the Department of Chemistry. My main scientific interests include the synthesis of some organic compounds such as dyes, research about textile auxiliaries for textile industry, synthesis of Schiff bases and their transition metal complexes, theoretical characterizations, antimicrobial activity and dyeing applications. Natural dyes and applications in textile industry are also included in my scientific interests. 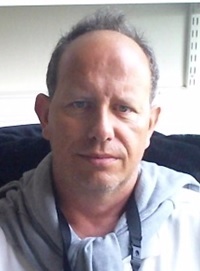 Eric Manoury is a CNRS Research Director at the Laboratoire de Chimie de Coordination (LCC) in Toulouse, France. After a PhD in Paris VI, Orsay under the supervision of Professor G.G.A. Balavoine dealing with chiral perborates for asymmetric epoxidation of alkenes and a post-doctoral stay with Professor K. Barry Sharpless at MIT working on the asymmetric hydroxylation of alkenes, he joined CNRS in 1993 in Orsay first and then in LCC in Toulouse. He is currently coleader of the team “Ligands, Complex Architectures and Catalysis” with Professor Rinaldo Poli. His main research interests are: Ferrocene Chemistry; Development of chiral ligands; Asymmetric Catalysis; Oxidation catalysis; Asymmetric Hydrogenation; Asymmetric Coupling Reactions; Biphasic catalysis with polymeric nanoreactors. Amongst various collaborations, he currently carries on a fruitful collaboration with Ukraine (Taras Shenvshenko National University of Kyiv: Professor Zoia Voitenko; Institute of Organic Chemistry NAS of Ukraine, Kyiv: Professors Oleksandr Yesypenko, Vyacheslav Boiko and Vitaly Kalchenko) dealing with the synthesis of new phosphorus compounds, in particular chiral ones, and their use in catalysis. Mustapha Kaci received his B.S. and M.S. degrees from the Algerian Institute of Petroleum (AIP) in Algiers and his PhD degree from the University of Setif (Algeria). 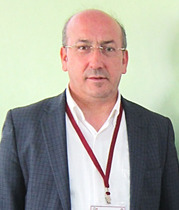 Prof. Kaci is a member of the Algerian Society of Chemistry. He has published more than 75 peer reviewed papers in international scientific journals on various aspects of polymer degradation and stabilization. His research activities also include the durability of films based on polymer nanocomposites used for food packaging involving both synthetic and biopolymer matrices filled with organic and inorganic nanoparticles, the additive migration from the plastics films, and the blending and recycling. Currently, Prof. Mustapha Kaci is a director of research and serves as a full professor at the Department of Process Engineering in the University of Bejaia in Algeria. He is also the director of the Laboratory of Advanced Polymer Materials (LMPA). Daniel Pla is a CNRS researcher at the Fundamental and Applied Heterochemistry Laboratory (LHFA), a joint unit from the CNRS and the University of Toulouse 3 – Paul Sabatier. He obtained his PhD from the University of Barcelona in 2009 in the framework of a collaboration with the Experimental Biophysics and Applied Nanoscience Department of the University of Bielefeld (Germany). He then pursued postdoctoral studies at the Molecular Pharmacology and Chemistry Program at the Memorial Sloan-Kettering Cancer Center in New York (USA), and the Department of Chemistry at the University of Cambridge (UK) as a Marie Curie fellow. 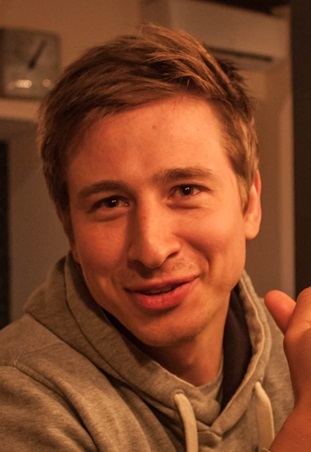 In 2014, he joined the Laboratory of Coordination Chemistry (LCC) in Toulouse as a postdoctoral research associate to work on novel main-group assisted (radio)fluorination strategies. His particular expertise lies in the field of natural product synthesis by means of amine-directed Pd(II)-catalyzed C(sp3)–H bond functionalization, hetero-annulation strategies (iminium ion-alkyne cyclizations and photoinduced nitrile imine-alkene 1,3-dipolar cycloadditions), diversity-oriented combinatorial approaches applied to heterocyclic scaffolds, and drug delivery strategies using bioconjugation techniques. His current research goals focus on metal-based catalysis (complexes, nanoparticles) in non-conventional solvents towards the development of sustainable and robust synthetic methodologies for the future. 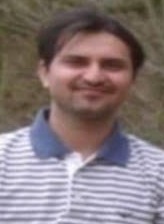 Dr. Muhammad Naveed Umar working as assistant Professor in the department of chemistry University of Malakand Pakistan. I have my PhD degree in Organic synthesis and organocatalysis from Jacobs University, Bremen, Germany in 2010. My research area is organic synthesis/ asymmetric synthesis/chiral amines synthesis. I have 34 International Research articles. I received my BSc in 2009 from Taras Shevchenko National University of Kyiv, Ukraine. In 2010, I started an MSc program in France, working in the SOMaF team (University of Angers) on new ionic liquids which could be suitable for the solventless Stille reaction. Later, I joined the group of Prof. Robert Häner at the University of Bern. My PhD projects included synthesis and analysis of porphyrin-modified DNAs and other unnatural oligophosphates. In July 2016, I started to work as a postdoc in the group of Prof. Bert Meijer. I am particularly interested in synthesis and development of novel supramolecular materials which can exhibit adaptable and stimuli-responsive properties, including mechanochemical activity. Lionel Salmon was born in Mazamet (France) in 1973. He received his Ph.D. thesis in coordination chemistry in the field of spin-crossover compounds and under the supervision of Jean Pierre Tuchagues and Azzedine Bousseksou from the University Paul Sabatier of Toulouse in 1999. Then, he obtained a teacher and research assistant position in the same group for one year. He held a postdoctoral position in 2000 at the Max Planck Institute of Mülheim (Germany) in the team of Karl Wieghardt and worked on the modelisation and nitrosylation of non-heme ferrous centers of metalloproteins. In 2001, he received a permanent position at the CNRS in the Laboratoire de Chimie de Coordination des Elements f (Service de Chimie Moléculaire, CEA Saclay) in the group of Michel Ephritikhine to develop the syntheses and magnetic behavior of novel heteropolynuclear 3d/5f compounds. 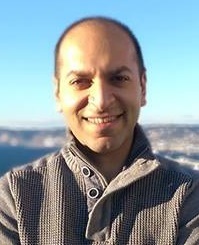 In 2006, he joined the “Switchable Molecular Material” group of Azzedine Bousseksou in the Laboratoire de Chimie de Coordination of Toulouse; his current research focuses on the elaboration of bistable molecular materials and nanomaterials and their integration into optical, electrical and electronic devices. Since 2015, he is Research Director at the CNRS. 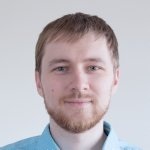 Dr. Sasha Koniev is a CEO of Syndivia (Strasbourg, France). He obtained his doctorate in the Laboratory of Functional Chemo-Systems at the University of Strasbourg. During his PhD, he worked on the development of novel biospecific reactions with the potential to enhance therapeutic properties of bioconjugates, namely antibody-drug conjugates. He initiated collaborations with a number of leading European research teams and successfully crafted bioconjugation technologies that address the most critical market needs. 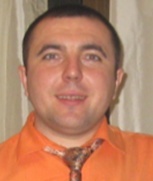 Dr. Koniev has ten years of academic and industrial experience in synthetic chemistry and bioconjugation. 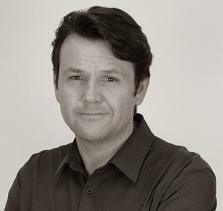 He is a co-inventor of APN and C&R technologies currently being applied by Syndivia. 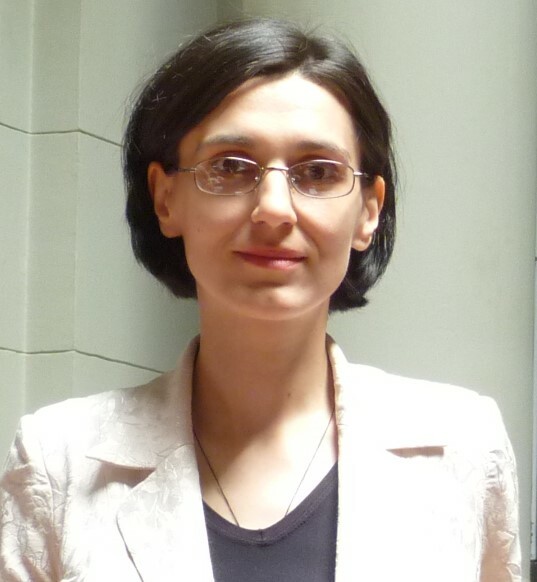 Mirela Zaltariov has accumulated experience in the field of organic and inorganic chemistry, synthesis of ligands (Schiff bases and carboxylic acids), metal complexes, coordination polymers and networks based on siloxane and silane ligands during the PhD. training at Institute of Macromolecular Chemistry "Petru Poni" from Iasi, and as a member of project teams financed by UEFISCDI and European Regional Development Fund and State Budget (”Synthesis and study of polymeric metallorsiloxane-new materials for catalysis and nanoscience” (POLISILMET) - Project POS CCE: ID 570, Cod SMIS-CSNR:12473), “New coordination networks containing polyfunctional flexible bridges”, PN-II-ID-PCE-2012-4, “Coordinative compounds of transition elements based on polydentate flexible ligands as biologic agents and precursors for oxidic materials”, PN-II-CT-RO-MD-2012-1, Contract no: 690/16.04.2013, “Coordinative compounds of some 3D metals with Schiff bases containing siloxane and silane units”, Contract no: 749/01.01.2014, PN-III-P2-2.1-PED-2016-1536 - "Luminescent organometallic complexes with self-assembly properties", etc. The research activities are focused on the synthesis, crystallization and characterization of metal-organic structures containing flexible siloxane and silane units in their structures, thiosemicarbazone derivatives and their metal complexes with antiproliferative activity. Born in 1984 in Luhansk, Ukraine, where until 2005 he studied at Luhansk National University at the Faculty of Natural Sciences. In 2008 he graduated from Kyiv National Shevchenko University in specialty of chemistry. In 2011 defended his Ph.D. in chemistry in the University Paul Sabatier, Toulouse, France. Then he concentrated on studies of geochemistry at the French Institute of Petroleum and New Nnergies (IFPEN). Currently he is startup manager of Natural Hydrogen Energy Ltd. in Colorado, USA, which aims to find and develop geological structures, seeping natural hydrogen. Research interests include hydrogen energy, natural hydrogen and the theory of hydridic Earth. 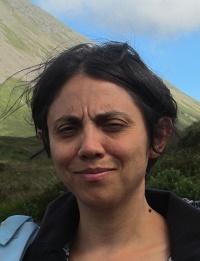 Pamela Pasetto is Italian, she got a master degree in Chemistry at Università La Sapienza di Roma, then she worked one year for the Italian National Research Council (Montelibretti, Rome). 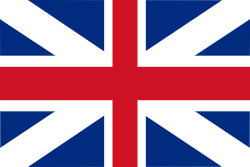 Afterwards she obtained a research grant to work for one year at the Applied Photochemistry laboratory, at Universidad Complutense, Madrid (Spain). She did his PhD in the Chemistry Department of Queen Mary, University of London (United Kingdom), in the field of Molecularly Imprinted Polymers. 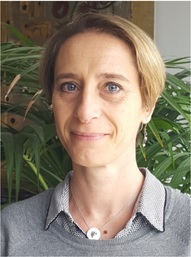 She then joined the Laboratoire de Chimie des Polymères Organiques, ENSCPB, (Bordeaux), for 18 months to work on the use of cationic polymerization to imitate the process of natural rubber biosynthesis, and then she carried out her post-doc in the Laboratoire de Chimie de Polymères at Université Pierre et Marie Curie (Paris VI), working on the synthesis or mesoporous silica particles functionalized with polymer brushes obtained by controlled polymerization. After two years spent as lecturer at Université de Technologie de Compiègne, she joined Université du Maine in 2010 as lecturer. The main interests are the valorization of oligomers obtained from natural and recycled rubber for the preparation of biobased materials such as foams and films and the synthesis of composite elastomers using different original inorganic charges. Yevgen Karpichev received his Ph.D. in 2002 from University of Donetsk, Ukraine. In 2006-2007 performed a postdoctoral fellowship at Dalhousie University (Canada) followed by visiting researcher sojourns at University of Bordeaux (2007-2008) and Laboratory of IMRCP (2010). Visiting Professor at Paul Sabatier University (France, 2009) and University of Hradec Kralove (Czech Republic, 2015). Since 2010, he was working as Senior Research Fellow at L.M. Litvinenko Institute of Physical Organic Chemistry and Coal Chemistry and Institute of Organic Chemistry, National Academy of Science of Ukraine. International collaboration activities included bilateral projects between France and Ukraine, in essence, participation in French-Ukrainian Network on Molecular Chemistry (GDRI). In 2015, he joined ERA Chair of Excellence on Green Chemistry at Tallinn University of Technology (Estonia) as Senior Research Scientist. His research interests include designing nanostructures based on molecular assemblies of functionalized surfactants, gemini surfactants, and ionic liquids; chemical decontamination and water treatment (search for green chemistry approaches to replace hazardous chemicals; environmentally friendly versatile decontamination approaches); organic reactivity in organized molecular systems. Stéphane Mazières is Maître de Conférences at the Laboratoire des Interactions Moléculaires et Réactivité Chimique et Photochimique (IMRCP) in Toulouse, France. He obtained his PhD degree in 1994 under the supervision of Prof. H. Lavayssière, in Toulouse (France) on germanium chemistry. Then he was a post-doctoral fellow with Pr. J. Michl at Boulder (USA) dealing with silicon chemistry and with Prof. G. Bertrand at LCC Toulouse (France) where he worked on group 15 developing phosphorus chemistry. In 1998 he joined the “Laboratoire Hétérochimie Fondamentale et Appliquée” (LHFA), at the Paul Sabatier University (Toulouse, France), where he mainly worked on heteroatom chemistry, (Ge, Si, Bi and P). Since 2007 he associated with Prof. M. Destarac in the P3R team and his research mainly focuses on the design of new transfer agents for RAFT polymerization, involving Group 14/15 elements. In 2014, he moved to IMRCP at Paul Sabatier University. Among various collaborations, since 2005 he develops research projects with Taras Chevtchenko National University of Kiev, with Prof. Zoia Voitenko, Prof. A. Brusylovets, Prof. T. Zheltonozhskaya, Dr L. Kunitskaya, Dr O. Brusylovets and Dr I. Kulai. Prof. Sanjib Ghosh: Director, Research and Development and Dean, School of Science and School of Biotechnology, ADAMAS University. Graduate from Presidency College, M.Sc from Calcutta University, Ph.D from Indian Association for the Cultivation of Science (Calcutta University). 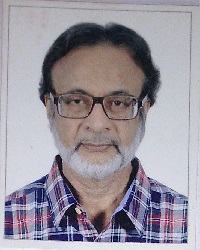 Former Professor of Chemistry and Principal of Presidency College, Kolkata Research Associate in University of California, Davis USA (1983- 1987), Visiting Research Professor in University of California, Davis, USA (2001), Visitor to Two Nobel Laureates in Cal Tech, USA (2001), Former Emeritus Scientist, Presidency University. Author of nearly 100 Publications in International Journals and 80 Research Abstracts in various International and National conferences. Reviewer in Journal of Physical Chemistry, Inorganic Chemistry, RSC Advances, Biochemistry, Biochimie, Chemical Physics, Chemical Physics Letters, Journal of Luminescence and other Spectroscopy Journals. Attended Conferences and Meetings in San Francisco, Berkeley, New York, Washington, London, Paris, Zurich, Melbourne, Auckland, Christchurch, Toronto, Los-Angeles, Singapore. Area of Research: Photoinduced Electron Transfer, Photoinduced Energy Transfer in Supramolecular and Biomolecular Systems; Structural Biology; Development of Imaging Technique and Biomedical Assay using Antenna Effect by Time Resolved Emission Spectroscopy & Low Temperature Triplet State Spectroscopy and ODMR (optically detected magnetic resonance) Spectroscopy, Theoretical Modeling and Bioinformatics. After completing a PhD from University of Strasbourg with Dr Jean-Pierre Sauvage (photoinduced charge separation) followed by a post-doctoral training with Pr Anthony Harriman, then in University of Texas, Austin, Dr C. Coudret was recruited in Prof. J.-P. Launay's group as a CNRS researcher in 1991 to work on molecular electronics. In charge of the synthesis of the molecular devices either based on ruthenium redox centers or tailored for STM, his interest in photochromism was induced by the issue of molecular switches. At the end of a short stay with Dr. Irena Starà (UOCHB, Prague) to work on the helicene synthesis, he joined the “Laboratoire des Interactions Moléculaires et Réactivité Chimique et Photochimique” (IMRCP) in 2008. His goals are now to develop the making of photostimulable devices (photochromic dyes and upconverting nanoparticles), and in collaboration with Dr. Jean-Claude Micheau, to propose numerical approaches of chemical reactions (system chemistry). 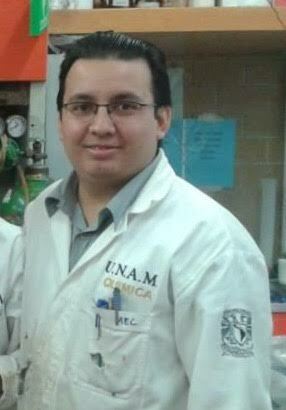 Graduated in 2012 from the Faculty of Chemistry at Universidad Nacional Autonoma de Mexico (UNAM) in Mexico, where I am currently doing my PhD under the supervision of Dr. Norberto Farfan Garcia. I have done a stay in the Laboratoire de Chimie de Coordination (LCC) in Toulouse, France; under the supervision of Dr. Pascal Lacroix and Dr. Isabelle Malfant; and in the Centro de Investigacion en Optica (CIO) in Leon, Mexico; under the supervision of Dr. Gabriel Ramos. I have participated in the 13th Chemistry Conference for Young Scientists (ChemCYS 2016) in Blankenberge, Belgium; where I won the first prize for posters in organic chemistry; and with an oral presentation in the International Conference on Coordination Chemistry (ICCC 42nd) in Brest, France. I am interested in the synthesis of chromophores with applications in non linear optics, and in complexes with ruthenium nitrosyls. Nicu-Cosmin OSTACHE obtained his B.Sc and M.Sc from “Vasile Alecsandri” University of Bacău, Romania, in 2015. During his studies he has performed two internships in France. The first one was done in the Institut de Chimie de Clermont-Ferrand (CESMA team), on the synthesis of a new family of potential CGRP receptor antagonists, under the direction of Prof. Yves TROIN and Dr. Isabelle THOMAS. The second internship took place at the Institute of Organic and Analytical Chemistry (ICOA, University of Orléans) under the supervision of Prof. Franck SUZENET and Prof. Gérald GUILLAUMET, where he worked on the Hydroamination of Alkynes for Inverse Electron Demand Diels-Alder (IEDDA) Reactions. 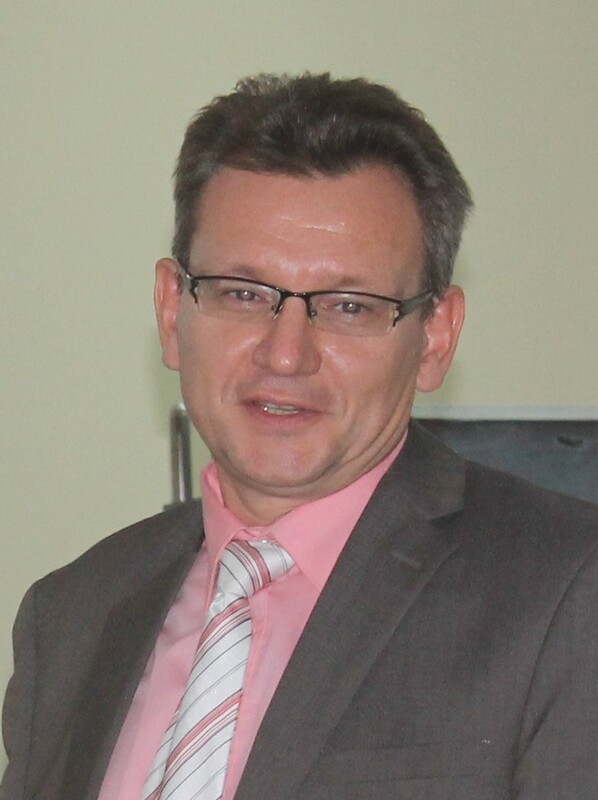 Currently he is pursuing a co-tutelle PhD (“Vasile Alecsandri” University of Bacău and University of Orléans), under the conduct of Prof. Adriana-Luminița FÎNARU, Prof. Franck SUZENET and Prof. Gérald GUILLAUMET at ICOA. His research aims at the synthesis and functionalization of various 5-5 polynitrogenated bicycles. I received a master’s degree in chemistry in 2008 at the Moldova State University. After, I continued my PhD studies in France during 2009-2012. I received the PhD in 2012 in the domain of spin crossover materials under the supervision of Patrick Rosa and Jean François Létard (Institut de Chimie de la Matière Condensée de Bordeaux, France). In 2013 I had a post-doc position in the group of Prof. Birgit Weber, University of Bayreuth (Germany). Since 2014 I have a researcher position at the Moldova State University, Faculty of Chemistry and Chemical Technology. The research activity is focused on coordination chemistry, especially on synthesis and development of spin crossover materials. I received the PhD in 2012 in coordination chemistry in the field of manganese coordination chemistry with thiosemicarbazone based ligands under the supervision of Prof. Mihail Revenco from Moldova State University and Dr. Hab. Rodolphe Clérac from Centre de Recherche Paul Pascal, Bordeaux France. After, I realised a post-doc at IPCMS in Strasbourg, France in the group of dr. Guillaume Rogez and a post-doc in Romania at Alexandru Ioan Cuza University Iasi, in the group of prof. Aurel Pui. Since 2014 I have a researcher position at the Moldova State University at the Faculty of Chemistry and Chemical Technology. I am interested to promote the coordination chemistry of transition metals with thiosemicarbazone based ligands for different application in: analytical chemistry, magnetic materials, biologic application and spin-crossover materials. İlknur Tosun Satir was born in Çorum (Turkey) in 1983. She had her PhD degree in the field of analytical chemistry from Eskişehir Osmangazi University. She has been working as an assistant proffesor in the university of Hitit since 2009. She is studying on the removal of dye and heavy metals from waste waters. She has supervised three master degree students until now. She is a member of Turkish Association of Chemistry since 2008. Her scientific interests includes the subjects of adsorbtion, biosorbtion, environmental chemistry and waste water removal.